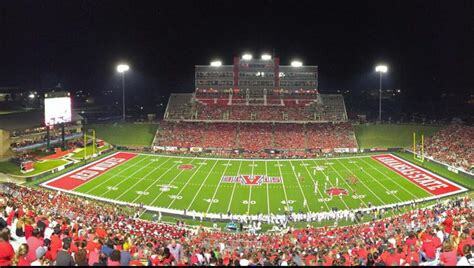 Appalachian State Mountaineers @ Arkansas State Red Wolves 2018 NCAA Football Week-6, Sun Belt Conference Betting preview for Tuesday, October 9th. Written by College Football Expert Analyst Bobby Wallace. Charliessports.com produces it for Football Betting. NCAA Football ATS Predictions are the best in the industry and will continue through the BCS-title game in 2019. The (3-1) SU, 4-0 ATS Appalachian State Mountaineers, beat South Alabama 52-7 as a 25-point ATS favorite going OVER 55 the total that came down nine-points throughout the week, which were part of our 3-0 500* triple Lock Saturday, October 6, 2018. 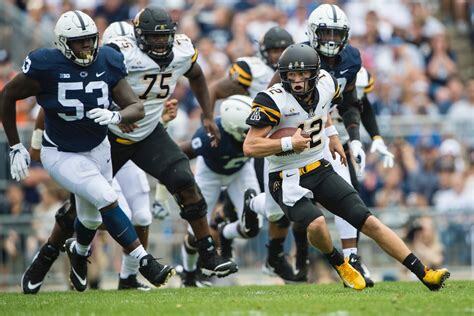 Appalachian State are coming off three consecutive double-digit blowout wins and their only blemish this season is a 38-45 overtime season opener road loss to Penn State in Happy Valley. The OVER has cashed in for the betting public all 4 of Appalachian State games this season. Appalachian State is 4-0 ATS their last four on the road. The Mountaineers are 5-0 ATS their last five vs. Teams with a winning record. The (3-2), 1-4 ATS Arkansas State Red Wolves lost 21-28 at Georgia Southern last Saturday. Arkansas State is seeking their first Sun Belt Conference win of 2018 against an excellent opponent. Quarterback Justice Hansen threw for 376 yards with one touchdown in defeat and hadn’t thrown an interception in three consecutive games. Arkansas State lost to top-ranked Alabama 57-7 on September 8th a contest in which the coaching staff came away with a positive feeling. Arkansas State is 1-6 ATS their last seven overall. The Red Wolves are 0-5 to the POINT SPREAD their previous five against a team with a winning record. Arkansas State is 1-4 ATS in their last five games after gaining more than 450 total yards the previous contest. Tuesday’s game is at 8:00 PM EST at Centennial Bank Stadium in Jonesboro, Arkansas. The ESPN2 Television Network will be broadcasting. The Opening Betting Line has Arkansas State as an eleven point home ATS. The TOTAL is sixty points for Tuesday’s contest. Appalachian State could be the second team in the state of North Carolina this season behind NC State. The Mountaineers have earned the respect of many traditional powerhouses over the year,s including what’s known as the greatest upset in College Football a 34-32 SU road win in 2007 at Michigan as a 33-point ATS UNDERDOG. Head Coach Scott Satterfield is in his fifth season on the sidelines which should have them competing with Troy for the Sun Belt East title. 2018 is the first season the Sun Belt has two divisions. The Mountaineers offense has scored 207 points which rank 33rd in College Football; they’re 7.6 yards per play is the 5th best in the nation. Quarterback Zac Thomas has thrown for 896 yards completing 58 of his 85 pass attempts this season. Running Back, Jalin Moore leads the 45th ranked rushing attack with 368 yards with 6.6 yards per carry on average. They’re defense has allowed opponents sixty-eight points through four game which ranks first in College Football. The 1,105 total yards surrendered by the unit also is number-one in the FBS. Opposing offenses gain four yards per attempt against the Appalachian State defense, third in the nation. Their rushing defense has given up 416 yards on 148 carries which is 4th in Division-1. Appalachian State must go out an play their game, and they’ll come away victorious. The OVER is 4-0 the Mountaineers last four games after allowing the opposition less than 100 yards rushing in their previous game. Bovada.Lv, list the Appalachian State Mountaineers at +130 to win the 2018 SunBelt East Division. Arkansas State plays in the West division of the Sun Belt Conference and is in third place behind Louisiana and South Alabama. Head Coach Blake Anderson is also in his fifth season but the schools seven consecutive years of going to a bowl could be in jeopardy. The Red Wolves have been unfriendly to the betting public which is why tonight could be a trap for ATS bettors. The last meeting between the teams was in 2015 a 40-27 Arkansas State SU/ATS victory but the year before Appalachian State got the win an cover with both games went OVER the total. The Arkansas State offense has scored 132 points good for 98th in the nation with 2,374 total yards produced by the unit on 391 plays which are 35th in D-1. On the other side of the Football, their 114th ranked run defense has allowed opponents 1,225 yards on 215 rushing attempts. They’ve surrendered 164 points, 67th in the FBS and they’ve given up a total of 1,965 yards on defense 54th in the NCAA Football landscape. A key for the Red Wolves to pull off the upset is to throw the Football against a defense that allows just 172 ypg through the air. 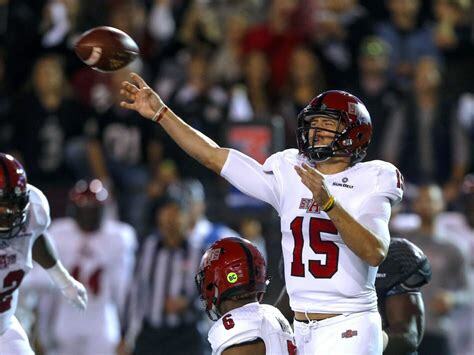 Bovada.Lv, list the Arkansas State Red Wolves at -185 to win the SunBelt East. A Quarterback to excel in the spread offense is a must to propel North Carolina in 2018-19. Written by College Football Expert Analyst Al Presto. Charliessports.com produces it for Football Betting. NCAA Football ATS Picks are the best in the industry and will continue through the BCS-title game in January of 2019. 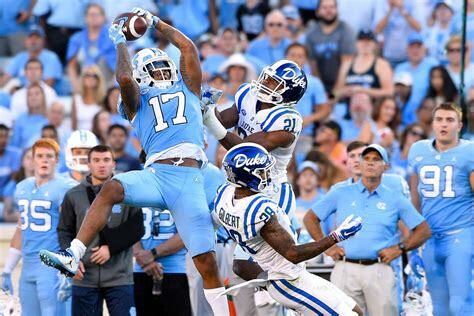 Fans on basketball-crazed Tobacco road were brought back to earth after witnessing Marquise Williams, and 2017 number-two overall NFL draft pick Mitchell Trubisky under center. 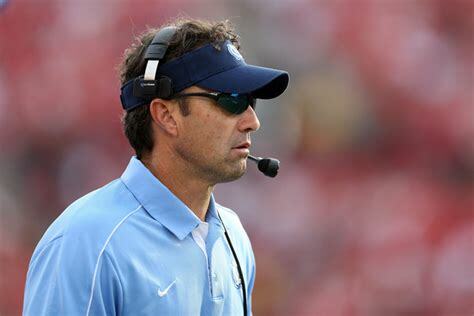 Head Coach Larry Fedora’s job could be on the line after failing to field a competitive team last season going 3-9. Fedora has a proven track record evaluating talent, eventually, bring prep stars to campus. Everyone understands Football is second, but they’ve experienced success on the gridiron. The Atlantic Coast Conference is loaded from top to bottom, their hoops rival Duke will also be competing for the Coastal Division title in 2018-19. North Carolina has a favorable non-conference schedule this year; their first two games are on the road at California-Berkeley and East Carolina. Central Florida comes to town to on September 15th, the following week they host Pittsburgh to start ACC play. Road trips to Miami and Syracuse are on the slate while they get North Carolina State, Virginia Tech, and Georgia Tech at Kenan Stadium in Chapel Hill. Offensive coordinator Chris Kapolovic must develop a signal caller for an offense which scored just under twenty-points per contest in conference action, and their (369.6) total yards of offense per game ranked ninety-sixth in the FBS. Quarterback Chazz Surratt threw for just (1,342) yards as a true freshman with all indications he’ll battle Nathan Elliott in fall camp to run the offense in 2018. As mediocre as they are at quarterback, the skilled position is a different story, wideout Anthony Ratliff-Williams, the headliner with his leaping ability and speed. Halfbacks Michael Carter and Jordon Brown did an exceptional job last season despite having opposing lines stacked for the run due to their deficiency at quarterback. However, the coaching staff is waiting for interior linemen evolve, complementing tackles William Sweet and Charlie Heck. Kenan Stadium is one of the most picturesque venues to view a football game, but fans also want a productive offense. As bad as the Tar Heels were on offense they weren’t much better on defense. 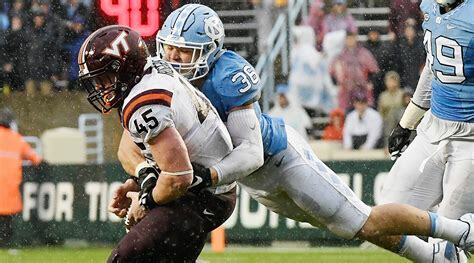 The (436.1) total yards yielded per game ranked ninety-ninth in College Football with their defensive linemen getting blown off the ball consistently, allowing the opposition (213.0) yards per contest on the ground. The good news is eight of their top nine interior players return, and fans have been watching this too often the past half decade. Second-year defensive coordinator John Papuchis was brought in to solve their woes; he’s expecting soaring results in 2018. Pass rush specialist Malik Carney should have another stellar campaign in what will be his final as a Tar Heel. Linebacker Cole Holcomb is a proven leader and led the team in tackles the past two seasons. M.J. Stewart is now a member of the Tampa Bay Buccaneers, and you can bet his presence in the secondary will be missed. Safety Myles Dorn along with cornerback K.J. Sails will be depended on to groom inexperienced players, both have an ability in pass coverage but are suspect against the run. Engaging blockers to stop the run is a must for North Carolina. Bovada.Lv, list the Florida Atlantic Owls at +10,000 to win the 2018-19 Atlantic Coast Conference Crown. Free Pick. The 2018-19 North Carolina Tar Heels will go 6-6 in the regular season Also, Play Online Poker Plus Other Casino Games and enter some of the best Tournaments on the World Wide Web. College Football Point Spread Picks, and Betting Odds: 2015 Big Twelve Conference Football Predictions. Written and authored by NCAA Football Expert Analyst Bobby Wallace. Charliessports.com produces it for NCAA Football news and notes. The 2015 NCAA Football season is right around the corner. The Big-Twelve Conference has some of the most exciting offenses in the College Football landscape. Big-Twelve Conference commissioner Bob Bowlsby thought the conference would be represented in last season playoffs. The committee has other ideas as Baylor and TCU were left out in favor of eventual BCS champions Ohio State. The 2015 season promises to combine high-scoring offenses with a better brand of defense. The NCAA Football Betting Experts at Charliessports.com ranks the teams in the Big-Twelve Football Conference for 2015. (1)*The Baylor Bears are breaking in a new quarterback. The Bryce Petty era is over, and the Bears will open a brand new venue in Waco. Everyone in the NCAA football knows Art Briles and his football teams will put points on the scoreboard. The 2015 Baylor Bears will have a ferocious defense to match the offense. The Baylor Bears are the team to best in the Big-Twelve Conference. (2)*The Texas Christian University Horned Frogs have found a home in the Big-Twelve. TCU had bounced around the WAC, Conference USA, the Mountain West and other conference looking for a home. TCU has also been one of the most dominant teams in the Big-Twelve. Head Coach Gary Patterson can compete with the elite Big-Twelve schools for the top high school football players in the talent-rich “LONE STAR STATE”. (3)*”BOOMER SOONER” is again the cry at the University of Oklahoma. Head Coach Bob Stoops team didn;t play up to expectations last season. The offense will be led by former Texas Tech quarterback Baker Mayfield. The Sooners offense has two of the best running backs in College Football. Brother Mike Stoops has his hands full getting the defense ready for high-powered offenses in the conference. (4)*It is “HOOK EM HORNS” at the largest University in the state. Texas Longhorns head coach Charlies Strong has the best resources in al of College Football. The fans in Austin will see a significant improvement in the Texas Longhorns. Quarterback Tyrone Swoopes will sink or swim in the first couple weeks of the season. (5)*The Oklahoma State Cowboys round out the top five teams in the Big-Twelve conference. The Cowboys regained confidence last season after a big comeback in “BEDLAM”, the annual rivalry game vs. Oklahoma. Oklahoma State overcame a double-digit deficit to get he victory. Ok-State quarterback Mason Rudolph is the best since Brandon Weeden. There is also talent on defense with talent up front and in the secondary. (6)*Kansas State Head Coach Bill Snyder may be looking for a replacement. How long can the Seventy-Five-year-old stand of the sidelines at KSU? The Wildcats lost a lot of talent at the skill positions. The good news is the interior on both sides of the football will keep K-State competitive. Snyder will find a way to pull some upsets in 2015. (7)*The West Virginia Mountaineers must travel to the Americas Heartland twice with trips to both Kansas institutes and Oklahoma. The Mountaineers also has to travel to the Lone Star State in October with back to back games at TCU and Baylor. WVU will be solid on defense but weary with all the travel miles. (8)*The 2015 Texas Tech Red Raiders have to learn how to finish the season. TTU lost eight of ten football games down the stretch last season. Head Coach Kliff Kingsbury has a talented quarterback to work with, but it’s going to be an uphill climb. (9)*The Iowa State Cyclone have a veteran starting quarterback under center. Sam Richardson has been around for what seems to be forever. Head Coach Paul Rhodes has a good offensive line and must run the football. Keep the defense off of the field against high-powered offenses in the conference. (10)*The Charlie Weis experiment is over and the 2015-16 College Basketball season can’t get here soon enough at KU. New Head Coach David Beaty has a long way to go at the basketball-crazed university.